Located steps from the Atlantic Ocean, it’s no surprise the area’s gorgeous seascapes are the predominant theme at Frank Gromling’s gallery. 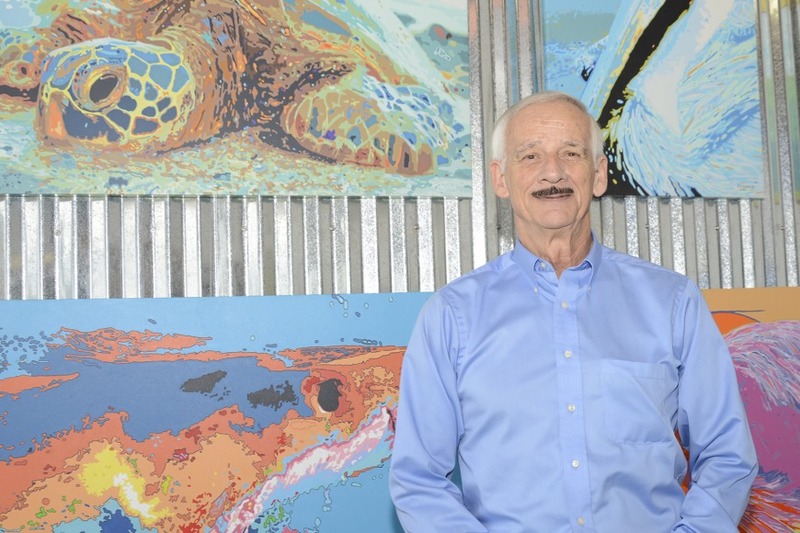 You’ll find a wide variety of work, from watercolor paintings of local birds and exquisite sunset photography to impressionistic underwater pastels. The gallery also features nature-themed jewelry, sculptures and hand-blown glass. 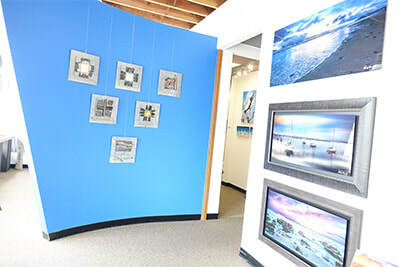 The majority of art on display at the gallery is created by artists who live in the area, making the gallery a great place to buy and support art from local artists, and take home a piece of the area’s renowned beauty. Ocean Art Gallery also hosts painting and photography workshops for visitors and residents interested in expanding their skills. Ask Gromling, owner of the Ocean Art Gallery, what makes Palm Coast and the Flagler Beaches art scene exceptional, and the first thing he mentions is the area’s natural beauty. It’s true. The beaches here are some of the best preserved in the state, and the miles of meandering saltwater creeks, wildlife estuaries and nature trails add to the beaches pristine beauty. But “quiet” doesn’t mean the community lacks in excitement and culture. The area’s natural beauty and breezy vibe have attracted the attention of artists and art aficionados from around the world. Many artists have chosen to set up shop among the palm trees and pine forests. You’ll find potters and painters, craft makers, and jewelry designers, who all call this beautiful beach community home. In addition to the vibrant arts scene, the performing arts scene is also strong. “There’s a tremendous amount of talent here,” said Gromling. The mix of inspiring natural backdrops and diverse talent has created a buzzing scene that makes Palm Coast and the Flagler Beaches a must-visit for anyone who appreciates the arts. Ready to explore? Here are some of the area’s top galleries, shops and venues to visit. Ocean Art Gallery © COPYRIGHT 2018 ALL RIGHTS RESERVED.